You are here: Home / Destinations / Unique Destination Wedding Location in Mexico? Welcome to Huatulco! Now, chances are that you might not have heard about Huatulco, Mexico. Most of the popular destinations for tourists are Cancun, Puerto Vallarta, Playa del Carmen, and more. What makes Huatulco a unique destination wedding location? 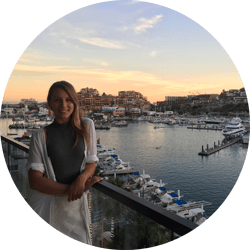 Well, we asked the Liz Moore Destination Wedding founders, Liz and Steve Moore on what they seem to love about Huatulco! They both have been there many times and can’t wait to share the reasons why they would recommend this location to future destination brides! 1. Because this destination isn’t known by everyone, it truly is a hidden gem that will have you returning incredibly happy, we haven’t had a complaint yet! 2. Another major plus about Huatulco is the weather, on average, it only gets 30 days of rain a year! So you have a very high chance of having a rain-free wedding day! 3. Huatulco still has all of the amazing resort chains that the other main destinations have in Mexico. Such as Dreams, Barcelo, and Secrets! So you don’t have to worry about not finding a place that has amazing views and incredible beaches. 4. One of the most popular activities in Huatulco is the snorkeling! So if you and your wedding guests are excited about getting in the water, there is plenty to explore and find. 5. The best part of Huatulco is the authentic charm. It’s an opportunity to go back to old Mexico charm you won’t see Mcdonald here or much of any fast food chains. Take a cab into town for a day of shopping and site seeing and even visit the quaint church in the city center. 6. It’s ideal for a unique destination wedding location because of the seasonal direct flights, and it’s probably somewhere that none of your guests have been before, which makes it very special for a wedding group!